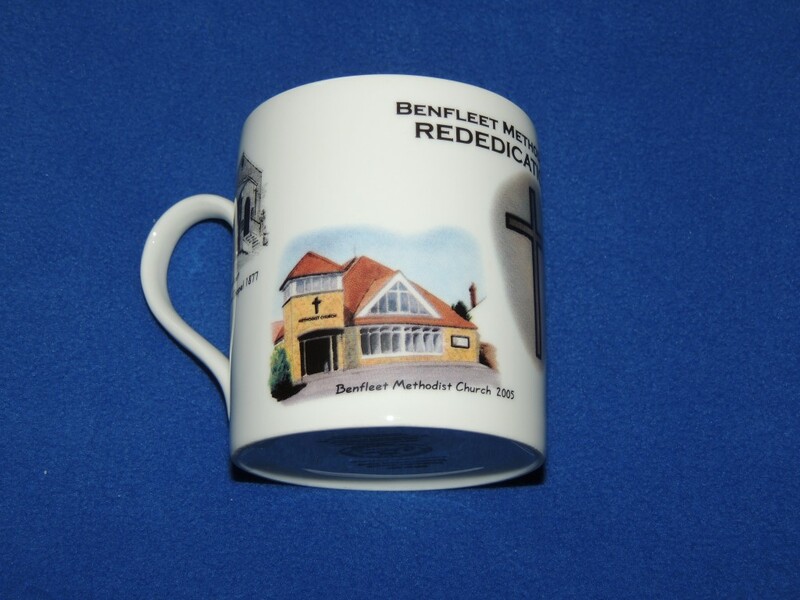 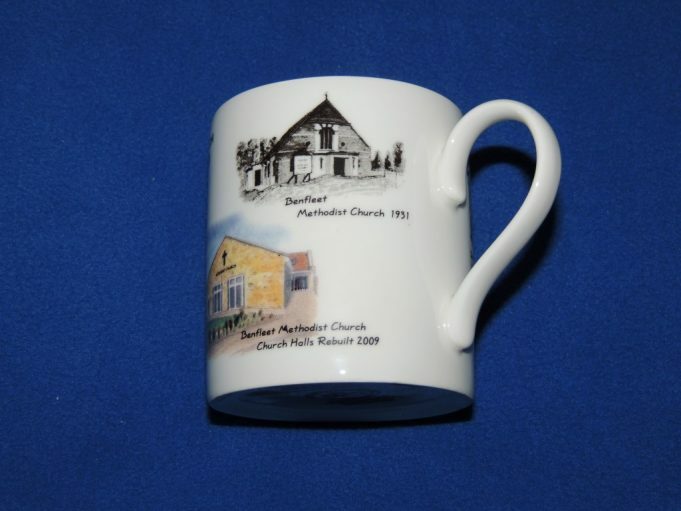 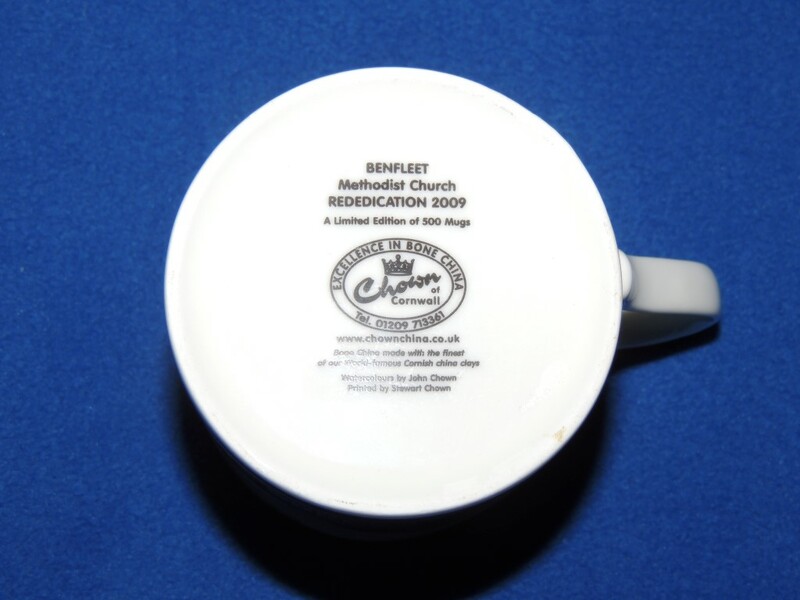 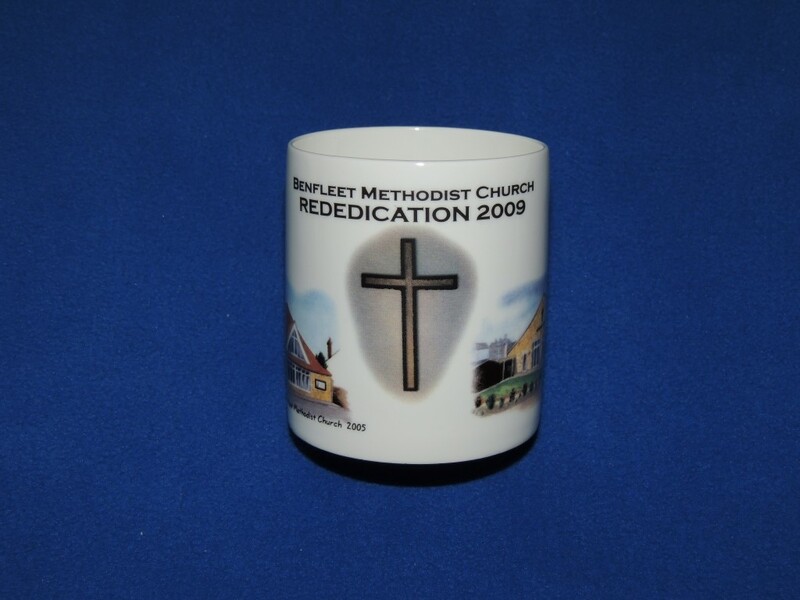 The photos below are of a mug that is one of a limited edition of five hundred, created to commemorate the rededication, in 2009, of Benfleet Methodist Church. 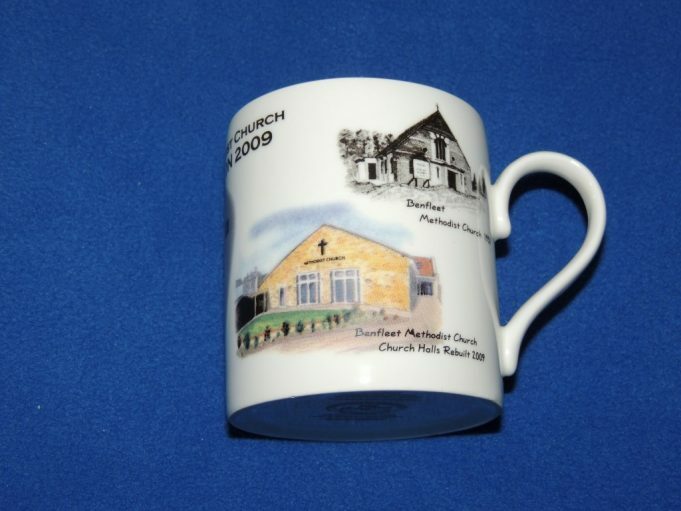 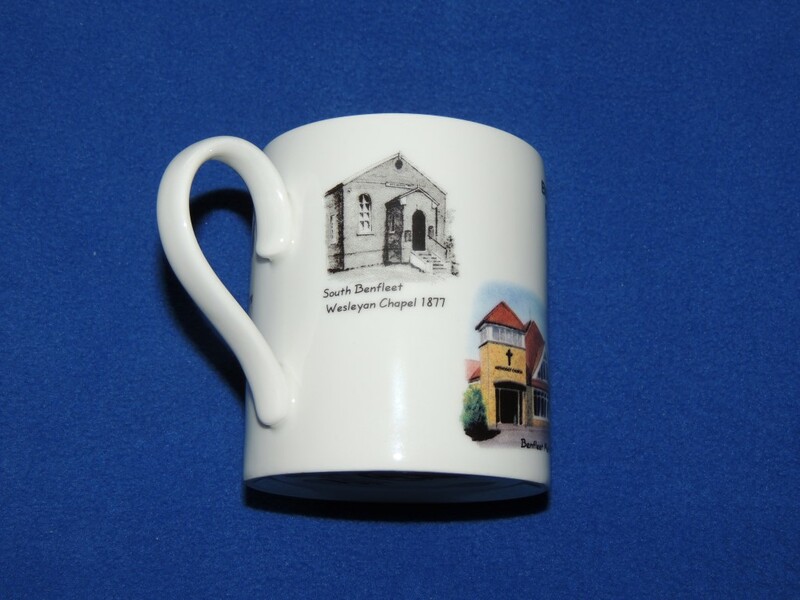 The pictures on the mug portray a brief history of the church from the Wesleyan Chapel in 1877 through to the rebuilding of the Church Halls in 2009. A detailed history of the South Benfleet Methodist Church can be found by using this link.